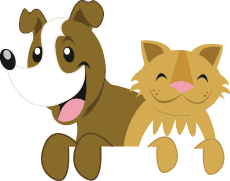 Growing up in Troy, Michigan, Dr. Duncan knew at age seven that he wanted to be a veterinarian. He attended Michigan State University from 1990 until he graduated in 1998 with a Doctor of Veterinary Medicine. He took his first job at Gibraltar Veterinary Hospital. 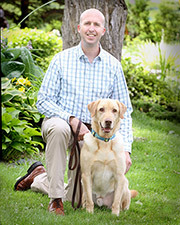 From there, he joined Oakland Animal Hospital in 2002 and became a partner in September, 2004. He has received additional training in soft tissue and orthopedic surgery (bone plating, corrective osteotomy, TPLO) as well as animal rehabilitation, cardiac and abdominal ultrasound. Dr. Duncan is married and resides in Rochester, Michigan where he and his wife enjoy spending time with their two children and animals; one labrador retrievers, one pug and one cat. He is a member of the American Veterinary Medical Association, Michigan Veterinary Medical Association and Rochester Jaycees. In his free time, Dr. Duncan enjoys volleyball, computers and music.